Looking for new ways to line those gorgeous peepers of yours? Stila Cosmetics Global Executive Director of Creative Artistry Sarah Lucero shows us 3 ways that are quick and easy-to-do! 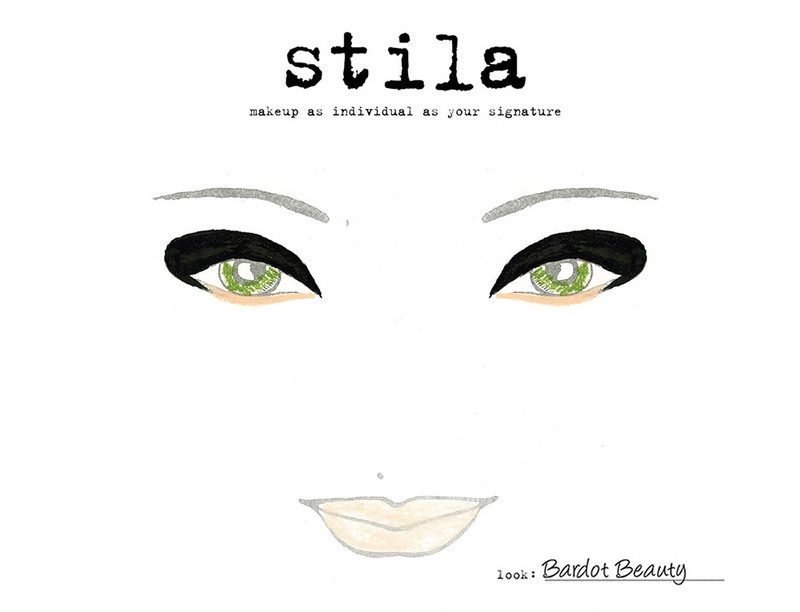 • Apply a neutral matte eyeshadow like Stila Dune on your lids to create a clean canvas. • Draw the cat eye. This is the most essential part of Bardot-inspired beauty. Apply a thin line of black liquid liner beginning from the inside of your eye all along your upper lash line. Make sure you are closest to the lash line as possible. When you reach the corner of your eye, bring the eyeliner tip upwards as you extend pass the edge of the eye. Be sure to taper the line at the end, thinning the line out as it reaches its end point. You can go over the line a couple times to thicken the line or add a stronger angle. • Use a pencil to line your lower lids. A pencil is easier to apply when you want to line your lower rims. Draw the liner from the inside to the edge of your lower rims. 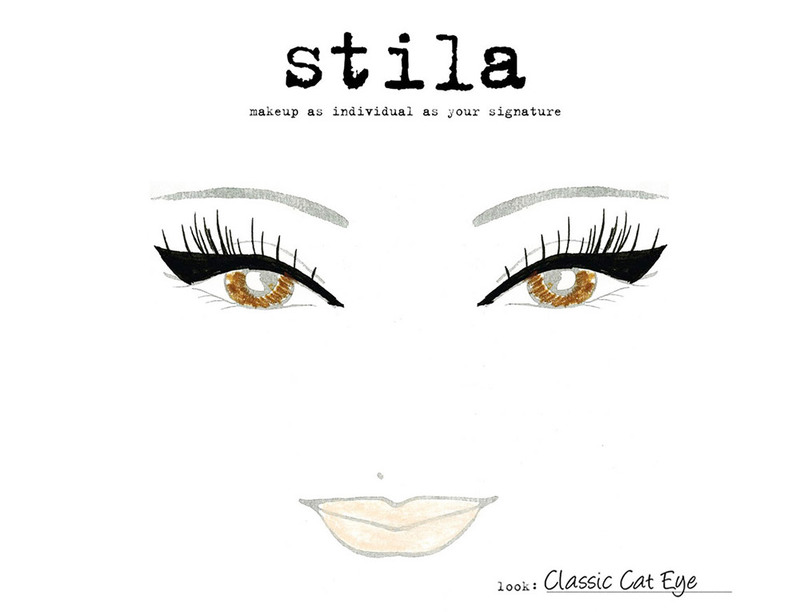 Stila Kajal Pencil in Onyx is ideal to line inside the waterline and trace the lower lash line. It adds a sultry “worn in” effect to add to your bombshell beauty look. To make eyes appear larger, try lining inside with a flesh tone pencil like Stila Kajal liner in topaz. • Apply several coats of black mascara. This will help further emphasize your cat eye. Focus layering mascara on the top lash line. If you wear false lashes, apply mascara over your false lashes. I prefer to use Stila Glamoureyes Mascara. It creates the look of false lashes but without the fuss. • The contrast with dark eyes and feminine clothing is strong. There was so much variety when it came to makeup at NYC Fashion Week. One of my favorite trends was bold, sultry, saturated dark eyes. • Stila Smudge Pot is ideal for this look because it is a long-wearing liner and shadow in one. The formula is gel-based which means the texture will glide on effortlessly and allows you to achieve a glamorous, sultry smudged look. • All you need is a double sided brush like Stila #20 to create this trend look on yourself and your client. For a softer effect, try wearing Stila Bronze Smudge Pot to add drama to your everyday beach bronze look. • When balanced with an otherwise neutral face, black winged liner looks artsy and edgy. Create a smooth, opaque base on lids with Prime Pot in Taffy. 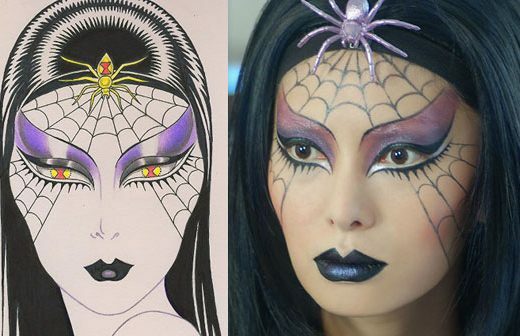 • First, use a black pencil like Stila Stingray Smudge Stick to draw the winged shape, so you can easily clean up mistakes and make the line look exactly how you want it to. • Then trace over the pencil with Stila Stay All Day Waterproof Lliquid Liner to add a patent leather finish as a liner top coat. • Layer several coats of black mascara on top and bottom lashes. 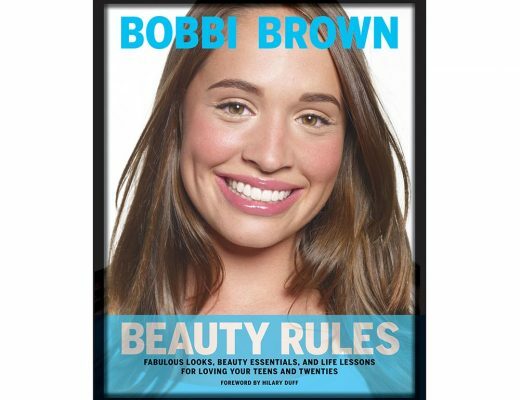 Check out Bobbi Brown’s latest book Beauty Rules! I quite like the Bardot beauty look myself (not biased at all!). Fantastic article, the illustrations are beyond stunning!